When the NFL instituted predetermined contract rates for draft picks (popularly, if unfairly, remembered as a reaction to Sam Bradford, the last No. 1 pick under the old system, who earned $50 million before playing a snap), it was a change that was both team-friendly, and beneficial to veteran players, who would no longer see such a large percentage of payroll going to guys on rookie contracts. (Which is why it made it into the CBA without any real opposition—the NFLPA doesn’t spend much time advocating for players not already in the league.) But there was one sop given to the younger players: The performance-based pool. Beginning with that 2011 season, the first under the new CBA, the performance-based pool allocated an amount of money to each team, to be distributed among its players after the season based on two factors: how much they already earned, and how much they played. The formula is relatively simple, though lengthy (if you want the details, it starts on page 157 of the CBA), but it very roughly boils down to the percentage of snaps he played divided by his salary. That means the biggest performance-based bonuses go to players who didn’t earn much, but played a ton—exactly the type of players who need and deserve more money. The numbers for the 2016 season are in, and the single biggest performance-based bonus went to the Falcons’ Brian Poole, an undrafted rookie DB who played more than 1,000 snaps on defense and special teams. Poole earned a bonus of $371,973.11, pretty good cash for a young guy whose base salary was $450,000. The second-largest bonus went to Dak Prescott, who earned a bonus of $354,544.57 against a base salary of $450,000. This is the system working as its supposed to: Rewarding the guys who could use the money and whose contributions to the team weren’t necessarily expected or reflected in their contracts. It’s why Tom Brady’s performance-based bonus for starting 12 games was $14,102.25, a number surpassed by both quarterbacks who filled in for him during his four-game suspension. Jimmy Garoppolo and Jacoby Brissett earned bonuses of $33,490.30 and $41,333.79, respectively. At the other end of the bonus scale, naturally, are those high-earning players who barely saw the field. 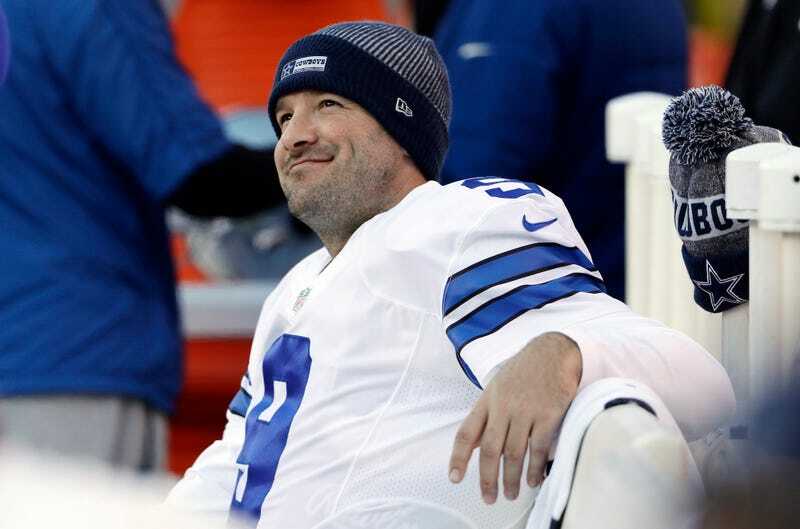 Cowboys QB Tony Romo, who was injured and lost the starting job to Prescott, played a single series in Week 17. With his sizable contract, his performance-based bonus netted him a whopping $64.11. But Romo’s steak dinner (without booze) wasn’t the smallest bonus handed out. That appears to belong to Jaguars backup QB Chad Henne, who played all of one snap in 2016—a kneeldown. Henne earned a cool $35.28 for his troubles. Don’t spend it all in one place, Chad.